My kiddos have nice round noggins. Think 98th percentile round 🙂 Sometimes I have to take matters into my own hands to fix a too small head hole. As cute as those heads are sometimes I just can’t get tees over the head and if it’s a Disney princess tee that means a lot of sadness. So I took 10 minutes and fixed it. Let’s fix a too small head hole in those tees! 1. 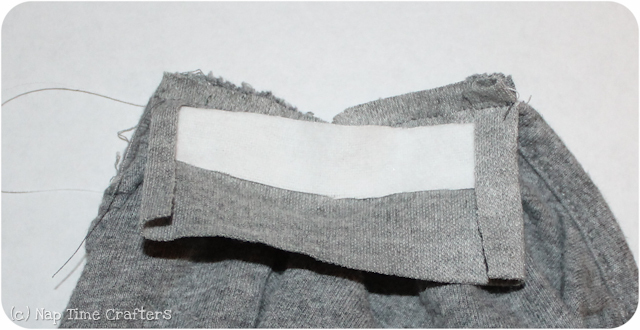 Grab your seam ripper and unpick one shoulder seam. Most tees have a shoulder where the neck binding ends meet up and you’ll want to use this one. Unpick almost all the way to the shoulder edge. 2. 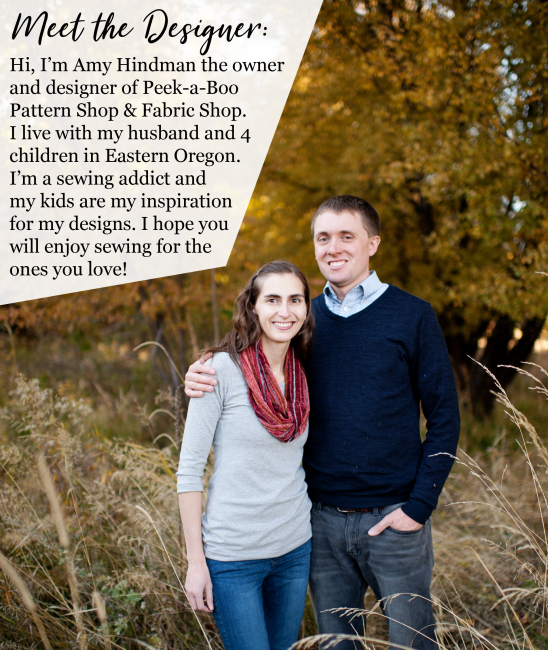 Grab a piece of coordinating knit (it won’t show too much) and cut it to 1″ longer than the opening and about 2″ wide. Interface half of the strip on the wrong side. 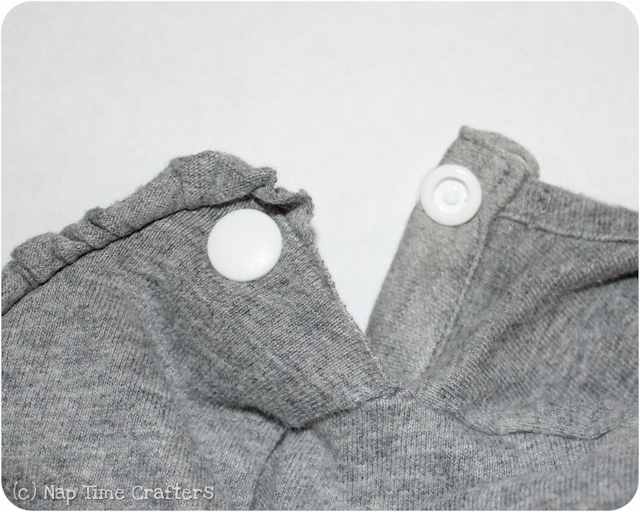 Tuck the short ends in 1/2″ and then sew one long edge of the opening in the shoulder. 3. 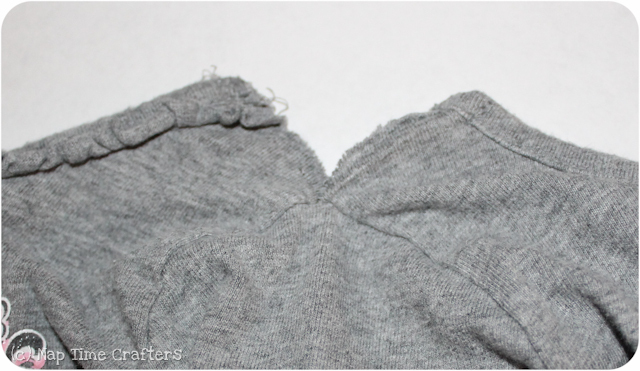 Now fold the other long edge of the neck binding in 1/4″ and then in half so it covers your seam from the last step. Topstitch in place from the right side. 4. Add 1 or 2 snaps and you’re all set! 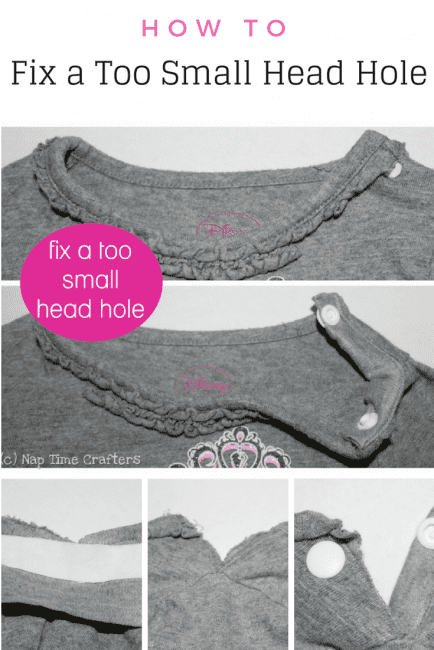 There you have the tips and tricks to fix a too small headhole. Hooray for eliminating 1 more wardrobe battle! Previous Post: « Lil’ Lacy Leggings & Tops for just $3.99! Old Navy tees are notoriously too small for my kids heads. Thanks for the great idea! I love this idea. I will try it out. Thanks for sharing. Thanks so much for this! 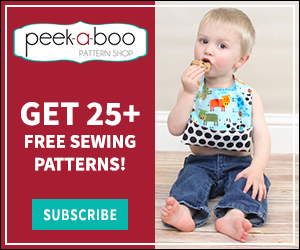 I am going to try it on a few jumpers we have as well as I have a 2.5 year old wearing size 5 and her head is really tough to get through the necks as well. We too, have big heads. Perhaps the I dusty should adjust their neck holes! Glad we aren’t the only ones…I thought we were freaks, lol. Great tut! Awesome idea! 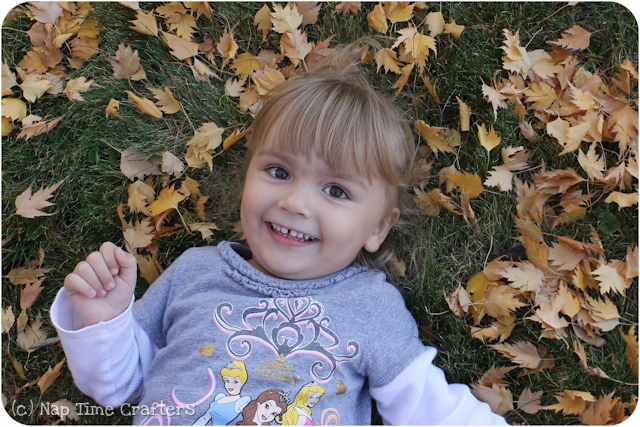 Big heads run in our family too, so this will come in handy!